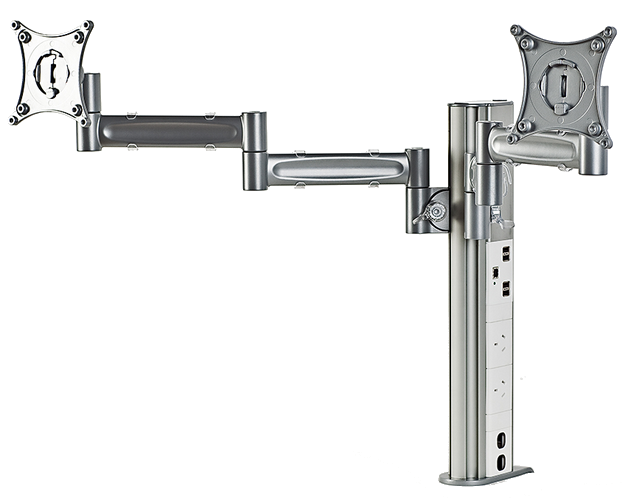 A modular monitor arm with access to Power above the desk. 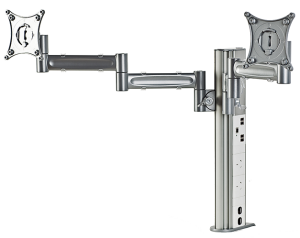 Evolved from our award winning Apollo4 Classic solution, the Integ Apollo4 Power+ monitor arm is a fully integrated monitor stand & arm, capable of handling power & data in one unit. The Apollo4 Power+ was specifically developed with feedback from financial institutions, workstation manufacturers and architects. Like the Apollo4 Classic, the Apollo4 Power+ monitor mount features four slots that can be used to connect arms and accessories depending on the users’ requirements. 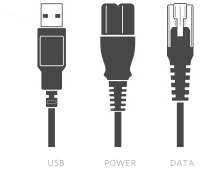 The unique extrusion pole provides the ability to handle power, data points and active / non-active USB ports – you no longer have to climb under the desk to find the power or extra USB points. Capable of handling 1, 2 or 4 office monitors, the Apollo4 Power+ monitor arm enhances office productivity, ergonomics and activity-based work. The ergonomic and productivity benefits of two screens are well documented. Whether you use a large office monitor and a laptop or two large screens, once you use two screens, you will experience the benefits for yourself. 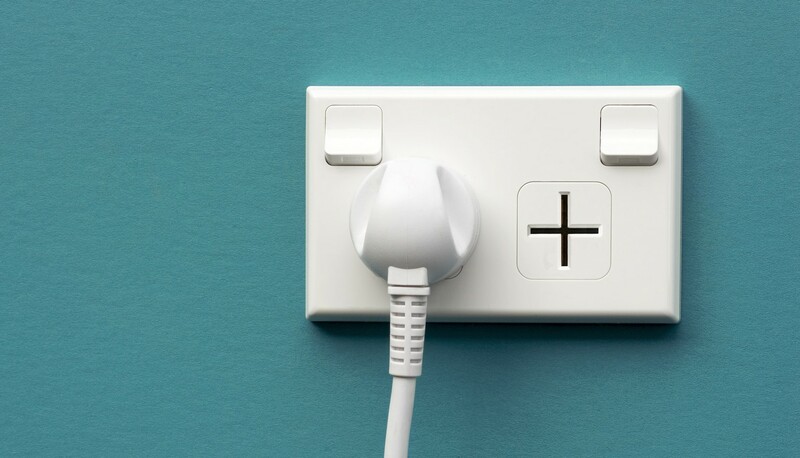 Start experiencing the health, comfort and productivity benefits of the Apollo4 Power+ mount. Just contact us to place an order for your business, or read more about the Apollo system and its ergonomic design. Start experiencing the health, comfort and productivity benefits of the Apollo4 Power+ mount by contacting us.